Everyone knows about coconut oil and its uses for hair and cooking already but did you know there are many other products derived from coconut. These other products go a long way in helping with healthier hair growth and a better body? This article is going to break down all the derivatives of the coconut, why it’s good for you, the best ways to use them and where to buy. I’ve covered coconut oil extensively on the site and it’s one of my favourite natural oils. 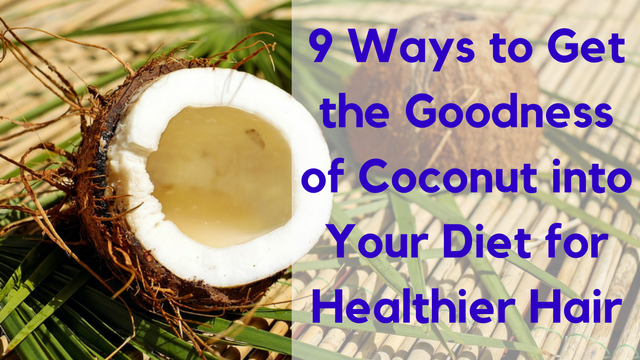 Coconut oil is a great source of heart healthy fats. Use it in your smoothies, for frying, sautéing and as a replacement for butter in baking. It is also excellent for use in oil pulling. 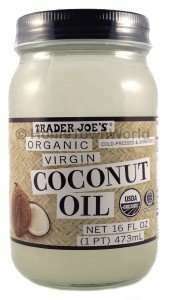 A tablespoon of coconut oil is about 117 calories. Coconut oil can be found in most supermarkets or natural food stores. Always make sure to purchase extra virgin organic coconut oil. Coconut flakes are made from drying and shredding the inner flesh of the coconut. 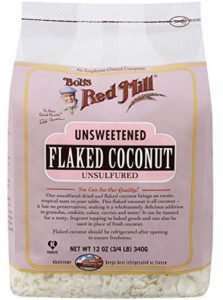 There are no preservatives used and the aroma and natural taste of the coconut is fully retained. It provides dietary fiber to help make the digestive system work more effectively. Coconut flakes can be used in a variety of ways. In salads, baking biscuits, muffins and cookies, homemade granola and added to smoothies. You can also consume it raw as a snack or lightly toasted. Coconut vinegar is similar to other vinegars like apple cider vinegar, balsamic vinegar, etc. It’s made from the fermented sap of the coconut palm. It has a very strong acidic taste. It’s a common ingredient in Southeast Asian cuisine. It is also used in certain parts of India. It’s low on the glycemic index (35) and is rich in minerals such as iron, sulfur, potassium, zinc, phosphorus, manganese and boron. It also contains all of the 9 amino acids, which are the building blocks of protein; a key component of healthy hair. Use it the same way you use other vinegars or replace other vinegars with it. I recommend Coconut Secret Raw Coconut Vinegar. Coconut aminos is similar to soy sauce but is a much healthier option. Coconut aminos are derived from the coconut sap, which is collected, blended with unrefined sea salt and aged for up to a year. It isn’t as salty as soy souce but provides the same balance to dishes. It’s gluten free, suitable for vegans and has a low glycemic index of 35. It contains B vitamins such as thiamine, riboflavin, panthothenic acid, niacin, biotin and folic acid as well as vitamin C. I recommend Coconut Secret Organic Raw Coconut Aminos. This is aka coconut manna. Some people confuse it with coconut oil but they are completely different. 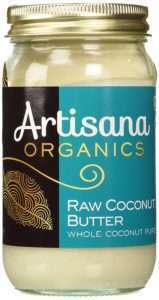 Coconut butter is made with the dried and shredded inner fruit of the coconut (coconut flakes). You get all of the same health benefits as well. Coconut butter can be used as a spread on breads, crackers and pancakes. You can kick things up a notch by also toasting the flakes before converting to coconut butter. This is the liquid located within a coconut when cracked open. A lot of people discard it but it’s a good source of potassium (more than 4 bananas). It’s naturally sweet and low in calories. If you have trouble getting 8 glasses of water down in a day, coconut water can help you achieve your water goals. Not everybody enjoys the taste of coconut water, so you can also add it to smoothies to get the benefits. You can find it in most grocery stores. Ensure it’s 100% organic and unsweetened coconut water. I recommend Zico Premium Coconut Water & Vita Coco Pure Coconut Water. Coconut flour is made by separating the milk from the white meat within the coconut. What’s left over after the milk is separated is then baked to dry it out, which produces the coconut flour. This flour has many benefits. It’s paleo friendly, gluten free, high in protein and dietary fiber, has a low glycemic score and is a healthy alternative to common flours. A ¼ cup of coconut flour is about 120 calories. The good thing is a little coconut flour goes a long way in recipes. You can use in baking, as a substitute for breadcrumbs in meatballs and burgers, as a binder in dishes and as a thickener in soups. 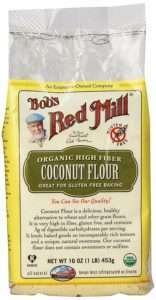 I recommend Bob’s Red Mill Organic Coconut Flour. Coconut milk is made by soaking the inner flesh of the coconut in hot water then blending and straining. Coconut milk is a rich source of manganese, iron, magnesium and phosphorus. Coconut milk is used in a wide variety of dishes for added creaminess and richness. You can also use it as a liquid base for smoothies. Coconut milk can be found in creamy form, full fat form and light form. Keep in mind it is high in calories though so consume in small quantities. Always buy unsweetened, organic coconut milk. 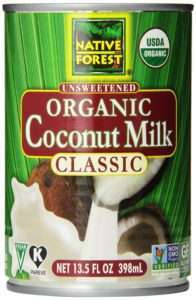 I recommend Native Forest Organic Coconut Milk and Native Forest Organic Coconut Cream. Coconut sugar is produced from the sap of the flower buds of the coconut palm. It is a staple sweetener in South and Southeast Asian cuisine. It is aka coconut palm sugar, coco sugar and coco sap sugar. Coconut sugar is similar to brown sugar but has a slight caramel flavour. It contains a high amount of potassium and a teaspoon comes to about 16 calories. You can replace regular sugar with this but it doesn’t provide a significant difference or source of nutrients apart from potassium, which you can get in other ways. I have included it because it’s a derivative from coconut. 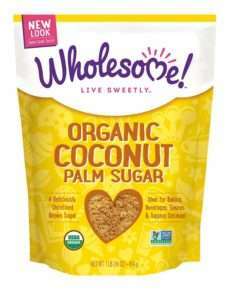 If you’re interested in coconut sugar, I recommend Wholesome Sweeteners Organic Coconut Sugar. 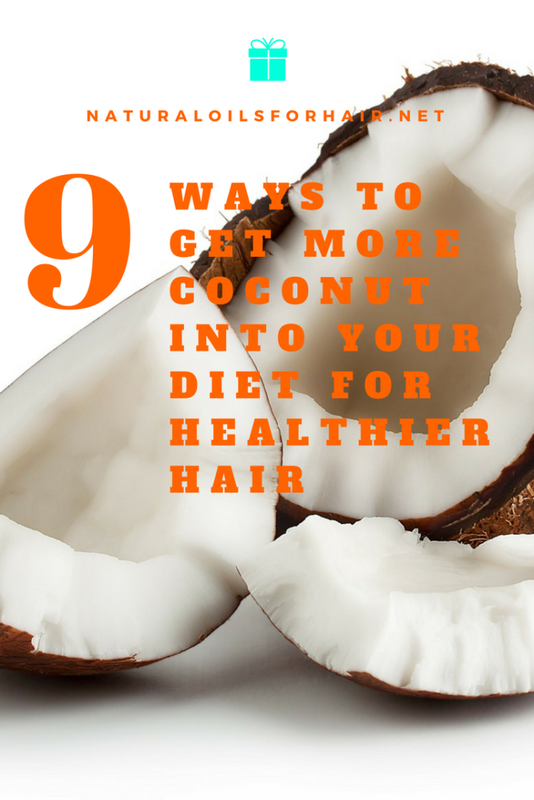 You don’t have to include all of the above in your diet but adding one or two of the most relevant ones apart from coconut oil will go a long way in aiding your hair growth goals.